The Pacsafe StyleSafe Sling Backpack 6L is an Anti-Theft backpack. The bag converts from a dual-shoulder backpack to a single-shoulder sling. A proper internal organization and room for 10-inch tablet lets you pack your day with peace of mind. The Pacsafe StyleSafe Sling Backpack - Black has many exciting features for users of all types. You can extend the lifetime of your Pacsafe StyleSafe Sling Backpack - Black with the purchase of a FactoryOutletStore Factory Protection Plan. 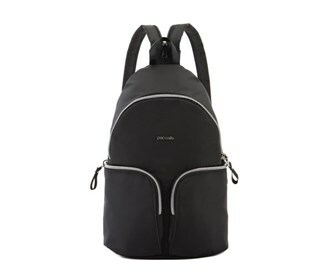 See the Pacsafe StyleSafe Sling Backpack - Black gallery images above for more product views. 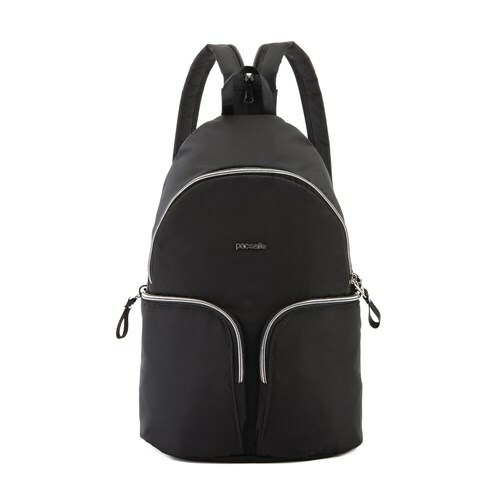 The Pacsafe StyleSafe Sling Backpack - Black is sold as a Brand New Unopened Item.